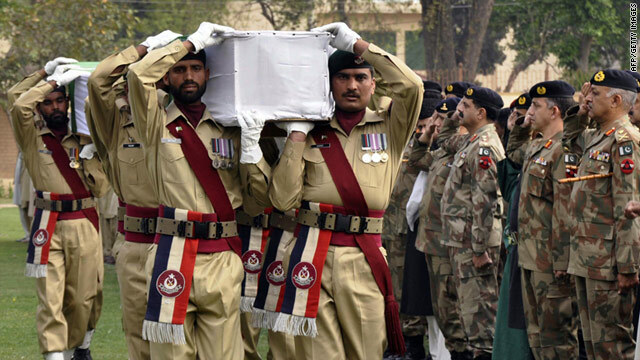 Pakistani soldiers carry coffins of their colleagues during a funeral ceremony in Peshawar on Tuesday, March 29. 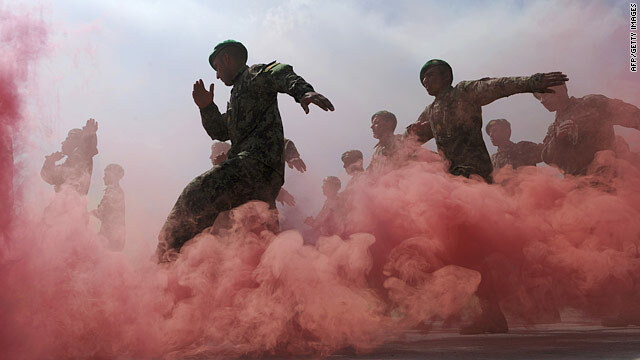 Fourteen Pakistani soldiers were killed when they fired a mortar to try and repel a group of militants but accidentally hit themselves, a government official said. The incident occurred when the soldiers were traveling in a convoy of three vehicles Monday night near the village of Akakhel in Khyber Agency, said Roshan Khan, a government official in the agency. Miltants fired on the convoy with machine guns and a soldier responded by firing a mortar. Somehow the mortar landed among the soldiers, killing them, Khan said. Khyber Agency, 24 kilometers (14 miles) west of Peshawar, is the capital of northwestern province of Khyber Pakhtunkhwa and is considered a hub for militants. 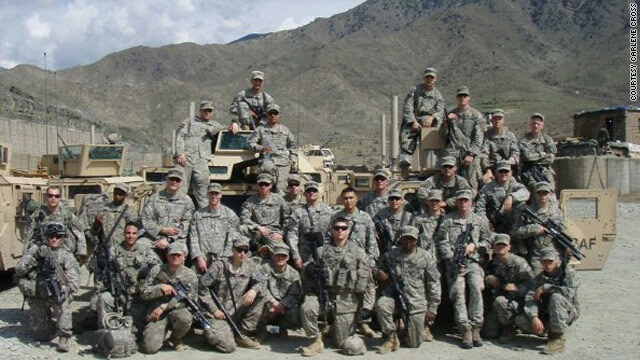 Khyber Agency also is one of the main supply routes for the U.S.-led coalition forces operating in Afghanistan and militants frequently attack NATO supply trucks in the region. 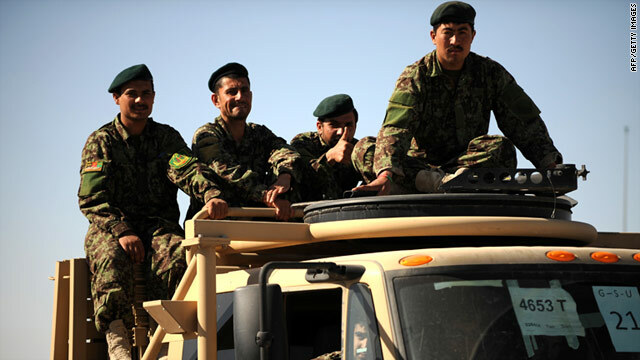 Taliban militants captured a remote district in northeastern Afghanistan early Monday, officials said. The militants took over the Waygal district in Nuristan province after a clash with police, said Mohammad Farooq, the security director of the province. A Taliban spokesman, Zabiullah Mujahid, said the entire district was under Taliban control. A suicide bombing targeting contractors working in eastern Afghanistan killed at least 13 people and wounded 50 others, according to conflicting accounts by NATO and government officials Monday. The Afghan Interior Ministry described an attack that killed 20 construction workers and wounded 56 others. The governor's office in Paktika Province had a third account of a suicide attack. "Twenty-four people were killed and 59 people were injured while a car bomb full of explosive devices entered in to Zahir Construction Company and detonated the explosive at 8:30 p.m. last night," the governor's office said in a statement.